Teachers are always learning and are always searching for new strategies, instructional methodology, and ideas to help their students learn. Sure, we have professional development sessions provided by the districts and schools we work for… but they aren’t always geared towards special education teachers. Or it’s a slideshow that’s repeated each year. 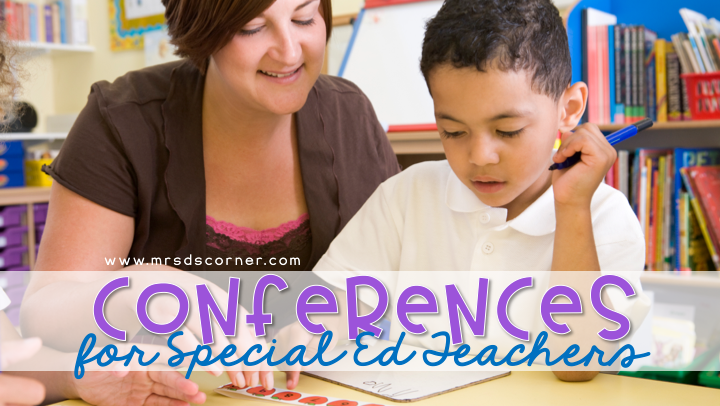 Thankfully there are dozens of national and international conferences that are held every year, and are geared towards special needs teachers, parents, and professionals. Below are a few conferences for special ed teachers, linked with descriptions, that are recommended by fellow special education teachers. Wrightslaw special education law and advocacy programs are designed to meet the needs of parents, advocates, educators, attorneys, and health care providers who represent children with disabilities. Educators attend and are engaged in deep learning of the specialized strategies for students with low incidence disabilities. A conference for parents and professionals supporting individuals with complex and communication needs. IDEAS provides high quality professional learning environments through workshops, sessions, and networking related to teaching students with disabilities. Vision: Supporting the WHOLE child, meeting the diverse needs of our students. Come collectively focus on common concerns and share proven solutions that address issues and challenges experienced by individuals with autism, sensory disabilities, and low-incidence disabilities across their lifespan. Committed to increasing the performance of students with disabilities, thereby enhancing their ability to graduate and achieve productive post-secondary outcomes. The Autism conference provides comprehensive, evidence-based information to assist educators, other professionals, and families in developing effective educational programming for all students with autism spectrum disorders. Deepen your assistive technology knowledge and strengthen your implementation strategies. The conference week is designed to dig deeper into critical areas that have the power—when implemented strategically—to transform your classroom, your school, your district, your practice. 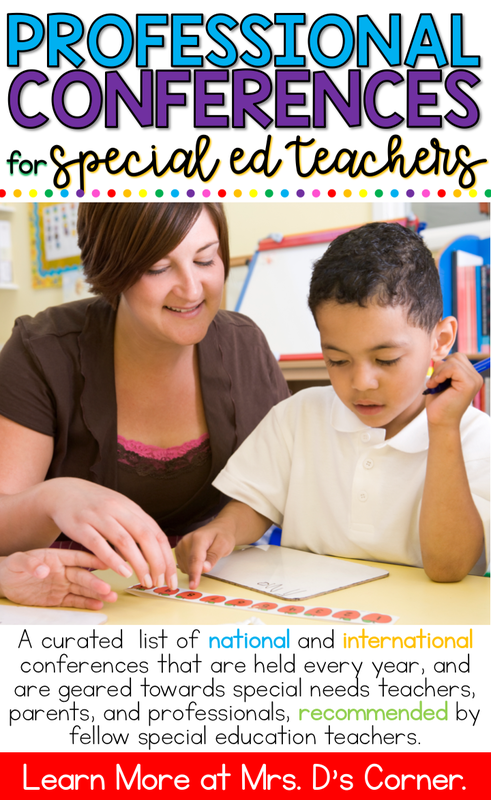 CARS+ is the only organization whose sole purpose is to represent the unique needs of resource specialists and other special education teachers. Focuses on instruction and best practices for all students. The NDSC cares deeply about serving the needs of all families, including those with loved ones with co-occurring autism, autism-like behaviors, or complex needs. Includes sessions like “Adult Siblings Track” and “Film Festival”. Conference focused on learning disabilities. Helping students who are wired differently succeed in inclusive classrooms. Stock up on top tips, simple strategies, and new digital tools for teaching Pre-K, handwriting, and keyboarding. Workshops include free materials and easy plans that are ready for first-day-of-school implementation. What other conferences have you attended that you would recommend to other teachers? Have you attended one of these conferences and loved it?! Share your experiences in the comments below! Please let me know if you need any additional information. Thanks!